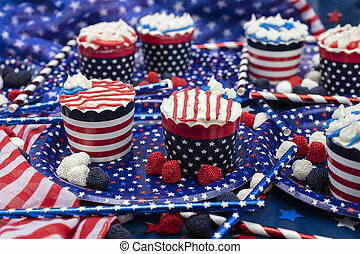 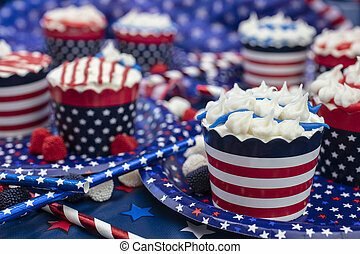 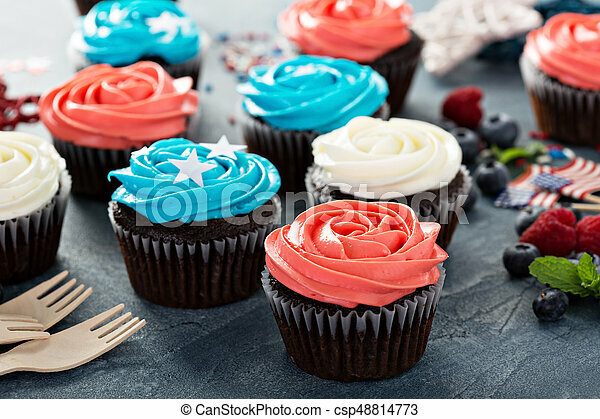 Cupcakes for the fourth of july. 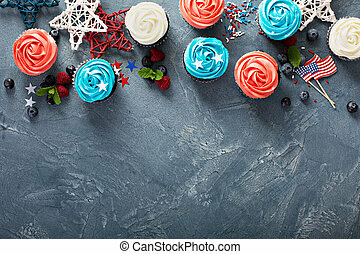 Red, blue and white cupcakes for the fourth of july. 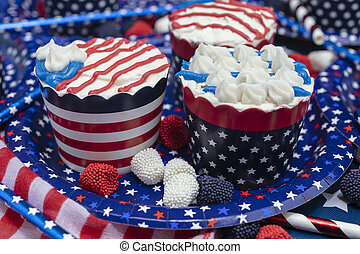 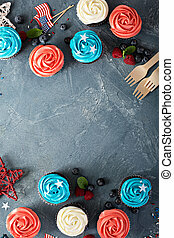 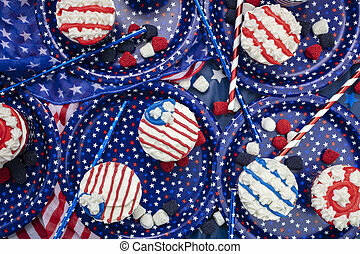 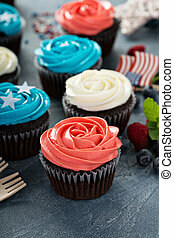 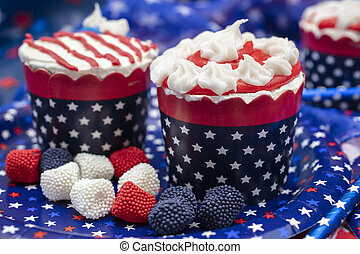 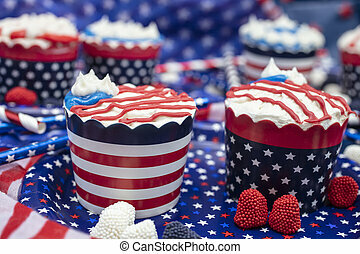 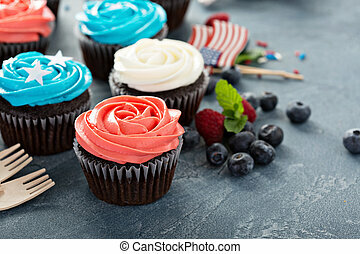 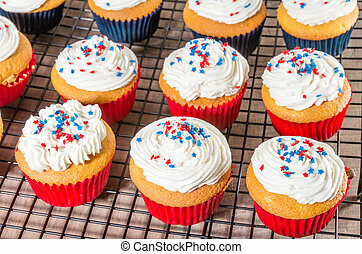 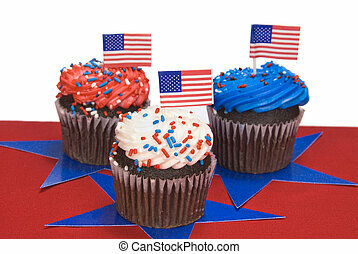 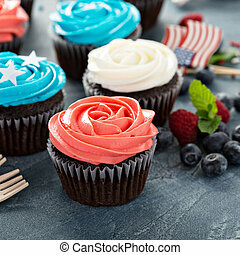 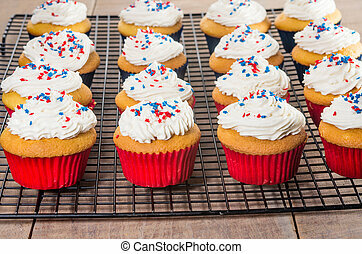 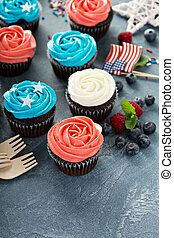 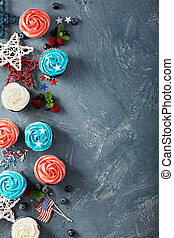 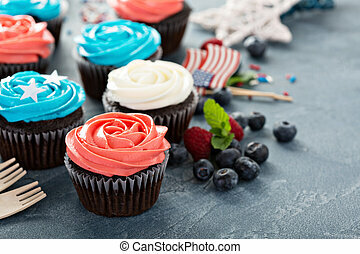 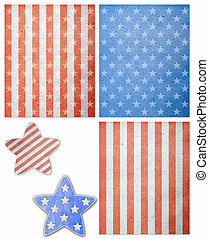 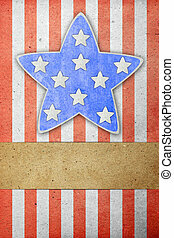 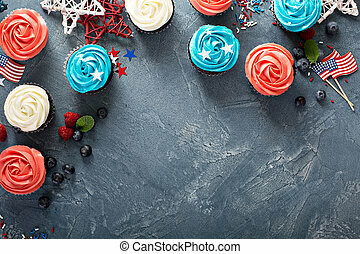 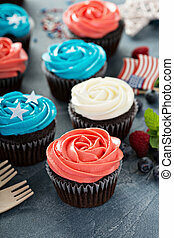 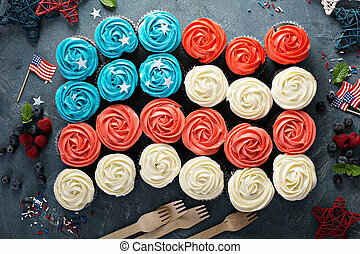 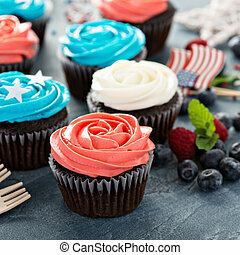 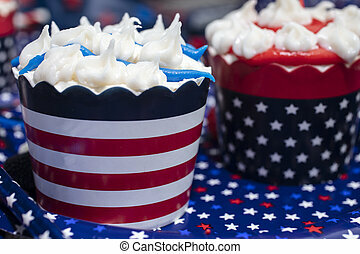 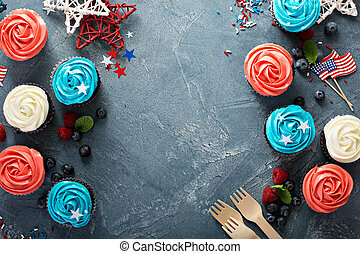 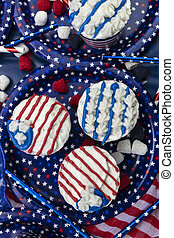 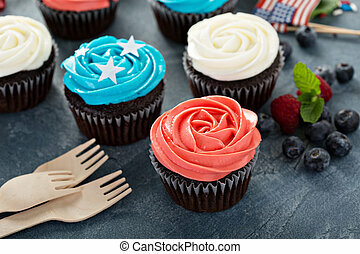 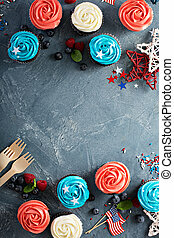 Three red, white and blue cupcakes to celebrate Fourth of July isolated on white.